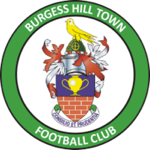 The Hillians succumbed to a 3-1 defeat at home to Harlow Town. 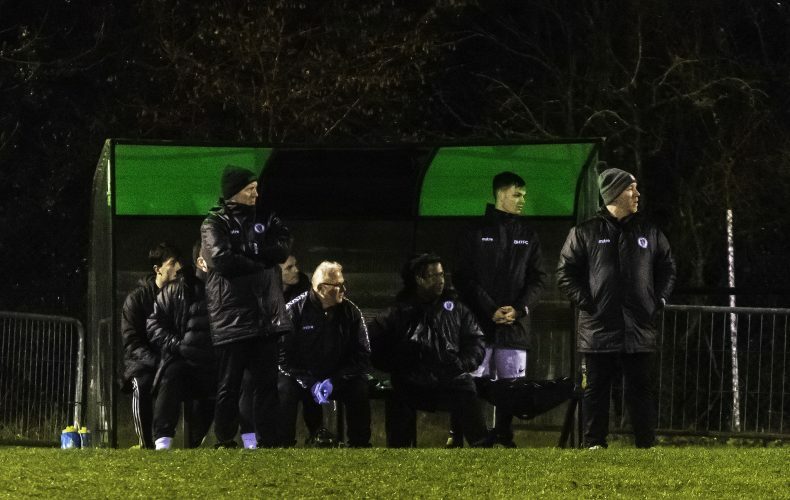 Simon Wormull named an unchanged starting XI from the one who played their part in that stupendous 4-4 draw against Haringey Borough on Saturday afternoon. There was a return to the bench for Dan Beck – who’s been suffering from a nasty knee injury. A soggy evening at the Green Elephants Stadium got off to the worst possible start for the Hillians, with two goals in the first nine minutes. First, the ball found Hitchcock in the box, who scuffed his effort but managed to find Foy who put his side ahead after just 4 minutes. The visitors’ lead was extended in the 9th minute, as the Hawks countered down the right-hand side, before Hitchcock calmy slotted the ball past Josh James. The Hillians were stunned and needed to re-group – fast. In the 19th minute, Enver had a chance to half the deficit, but his effort from twenty-five yards flashed wide. In the 25th minute, the visitors almost made it three, as Josh James was caught in no mans land, but Hitchcock failed to capitalise. The Hillians continued to pile on the pressure and must have thought they’d equalised in the 37th minute, as Pope’s header flashed past the outside of Bexon’s post, before Jared Rance smashed his strike against the inside of the post. Aaron Smith-Joseph was continuing to cause the visitors problems with his pace, but the Hillians just couldn’t find that end product. The Hillians had a mountain to climb in the second half and Wormull reacted by intorducing Dan Beck and Steven Sargent at the break. Pat Harding instantly had a shot well saved by Bexon as the Hillians went in search of a comeback. In the 53th minute, the game was almost put to bed, as Foy rattled the crossbar on the half-volley. Just moments later, Pope had a free-kick saved again by Bexon – who was earning his stripes so far this evening. 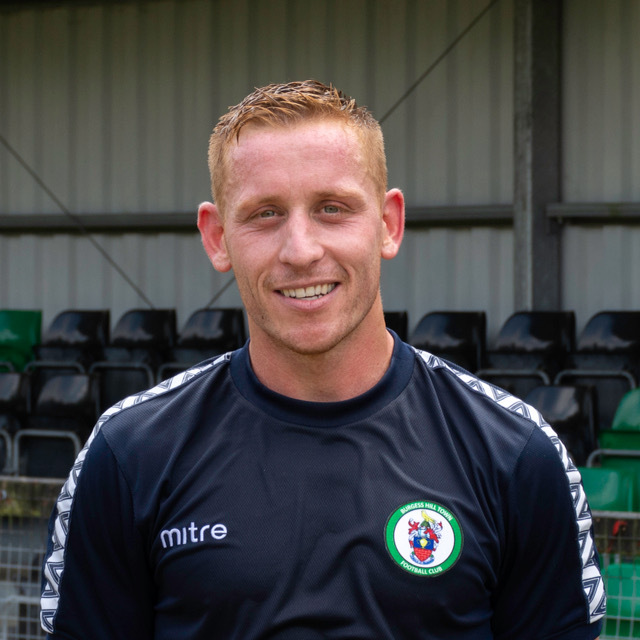 The Hillians huffed and puffed and finally got some reward in the 69th minute, as James Richmond headed in via the underside of the crossbar. Seconds later, Smith-Joseph forced Bexon into a fantastic save, as it appeared to be turning into one of those nights, once again, for the men in green. Tempers were beginning to flare as Wormull’s men threw the kitchen sink at the Hawks. Somehow, Malleret’s effort in the 80th minute stayed out and was cleared away from danger. The visitors manged to hold on to claim all three points. 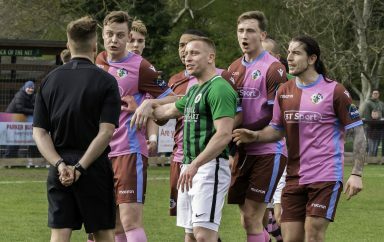 A throughly disappointing evening for the Hillians, who for all their possession and pressure walked away with absolutely nothing. The Hillians MOTM, awarded by match sponsors, Gardiner & Scardifield, was given to Pat Harding. 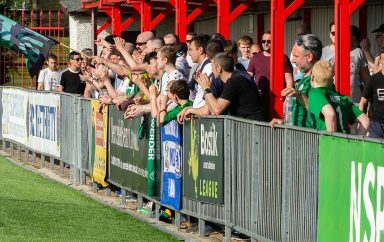 Next up, we make the tricky trip to Enfield Town.